The client: Award winning rAndom International create iconic artworks and installations that aim to explore public behaviour, interaction and reaction. 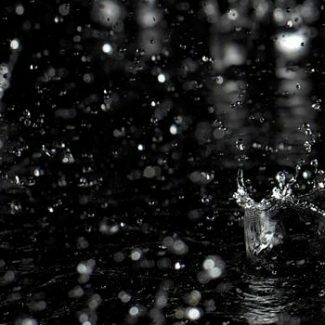 The challenge: To create a realistic and atmospheric experience of a torrential downpour – with visitors exploring the space whilst miraculously staying dry. In order to make this concept a reality, an electrical design was required capable of meticulously communicating with 1,600 water valves. Commanding over 260 gallons of water per minute, whilst using minimal cabling and connections, a high speed Ethernet link provides an express pathway. What lay ahead was an exhilarating journey of discovery, with a touch of irony no less – with the 2M team in rainy Manchester initially beholding the Rain Room spec. The New York Times: In a rare exception, the installation was open until midnight on Sunday 28th July at the Museum of Modern Art - the last day of the New York run that began on 12th May. One of 2Ms most magical projects to date was delivered when they were approached by existing clients and renowned designers of spatial installations rAndom International. The new challenge was to bring their ‘Rain Room’ concept to life. Their camera system was ready and raring to go – able to capture the coordinates of visitors, this provided the eyes. What was now required was a brain capable of deciphering this information every 6 milliseconds and then controlling the arms, in this case 1600 water valves releasing rain at high speed. Where many would say “it can’t be done” 2Ms team designed a revolutionary control system to bring this truly unique, and inspiring interactive experience to life. 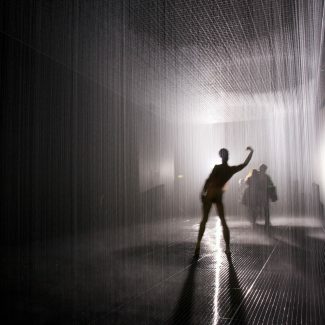 Following an acclaimed and extended six month run in London, the Rain Room headed across the Atlantic. With thirteen hour queues stretching from 3am in the morning, it would be fair to say that the Rain Room’s three month New York run was also a fantastic success. Currently, the third and largest Rain Room installation to date, measuring 150 square metres, is welcoming excited visitors at Yuz Museum in Shanghai. For many engineering companies getting involved in any art project would be an unusual enough idea, but 2M were massively excited at the opportunity and the challenge to deliver the technology that would bring this advanced, and off the wall idea to life. What is key to the success of the project was incredibly high speed communication of data between the eyes and arms of the machine. Another core element is using the best components for optimal response times – speed and accuracy is absolutely fundamental for this project, to keep people dry amidst the ferocious downpour. An intricate and sophisticated design of a brain capable of accurate synchronicity between the data input and the ensuing actions of the piece. In this case, 2Ms programmable logic controller takes information from the cameras and mapping software, de-codes the data, then works out which of the hundreds of water valves should be opened and closed when. 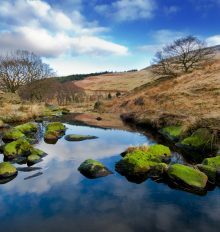 In a nutshell, the 2M control system is responsible for the operation of the water, ensuring people are able to control and command the rain as they explore the space. In addition, their new extended system now also monitors and controls the supply and recycling of the water around the Rain Room. During the process 2M worked closely with the team at rAndom International to ensure technical capabilities married with design to deliver accurate results. An ongoing interactive relationship ensures the design progresses with the client’s needs. The original system was a solid foundation which was designed to be modular and expandable thus affording adjustability, maintainability, flexibility and progression. Together 2M and rAndom International embarked on conquering the unexpected elements presented by a project of this nature and scale – including solutions for distributing power and data effectively and reliably throughout the massive body of this piece of interactive art. When people see the Rain Room the question on their lips is “how is this possible?” and that is down to the creative use of complex technology delivered behind the scenes by the magic of motion.